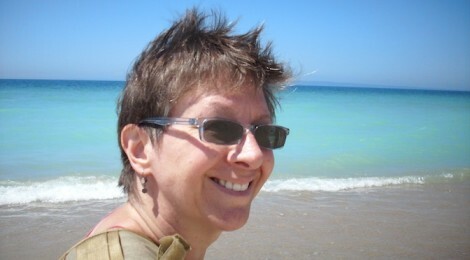 Loreen Niewenhuis grew up in Michigan and has lived there most of her life. She pursued a life of science, getting a Bachelor, then Master of Science degrees. She worked in various aspects of that world including a hospital laboratory, basic animal research, and a bone marrow transplant group. While taking a break from this work to raise her young sons, Loreen began writing fiction. This evolved into a passion and she returned to school to get her MFA from Spalding University. In 2009, her short story collection, Scar Tissue, was a finalist for the Flannery O’Connor Award. 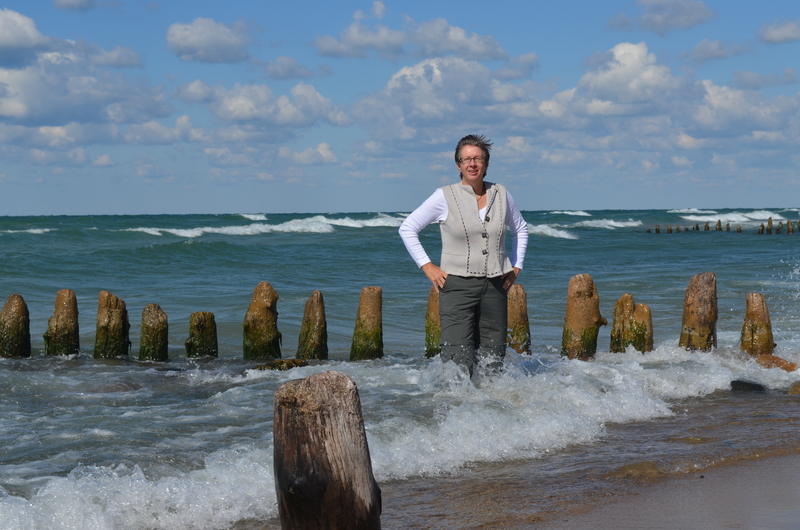 From the time she was a young girl climbing sand dunes and splashing in its cool waters, Loreen has felt connected and drawn to Lake Michigan. She decided to explore the lake fully by walking around it. 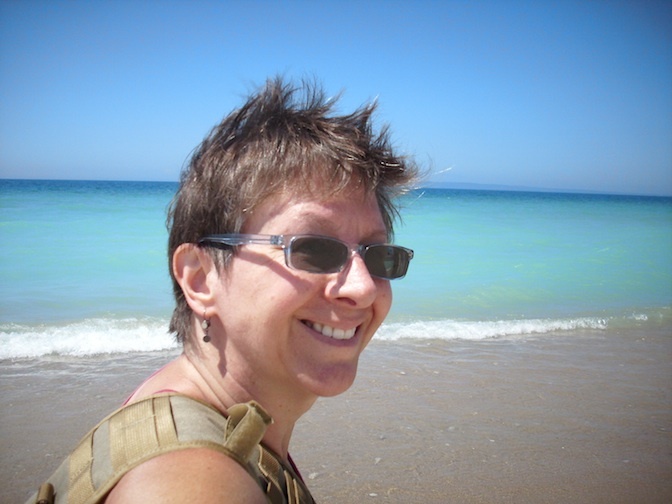 The fascinating account of her journey, A 1,000 Mile Walk on the Beach, was released in 2011 by Crickhollow Books. This book was a Heartland Indie Bestseller. Her novella, Atlanta, was also published in 2011 by Main Street Rag Publishing. 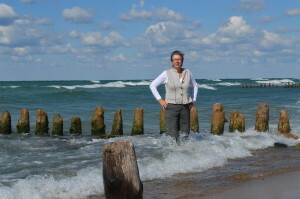 In late 2014, Niewenhuis completed the final installment in her Great Lakes Adventure trilogy. 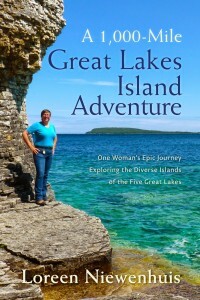 This time she launched out onto the water to explore the islands of the Great Lakes. 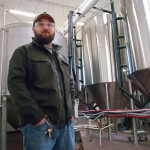 From hiking the rugged wilderness of Isle Royale in Lake Superior, to strolling the metropolis on Montreal Island in the St. Lawrence River, Niewenhuis set foot on islands in every Great Lake and in their connecting waterways. 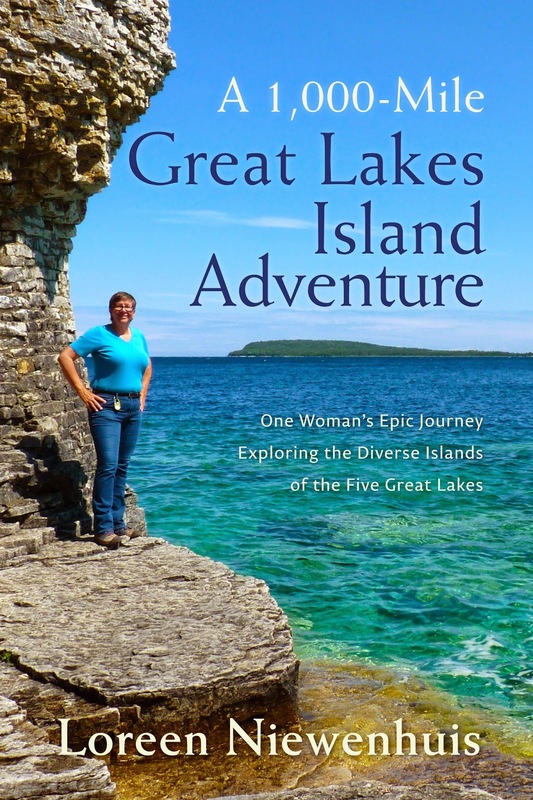 In this book, A 1,000-MILE GREAT LAKES ISLAND ADVENTURE, Niewenhuis takes the reader along on this fascinating island odyssey. Niewenhuis explores the natural and human history of the Great Lakes islands . . . and raises important questions about preserving our wild places and protecting fragile ecosystems on which we all depend. Isle Royale: This is the second largest island in the Great Lakes and is a national park. Scientists have studied the interaction of moose and wolves on this island for 57 years. 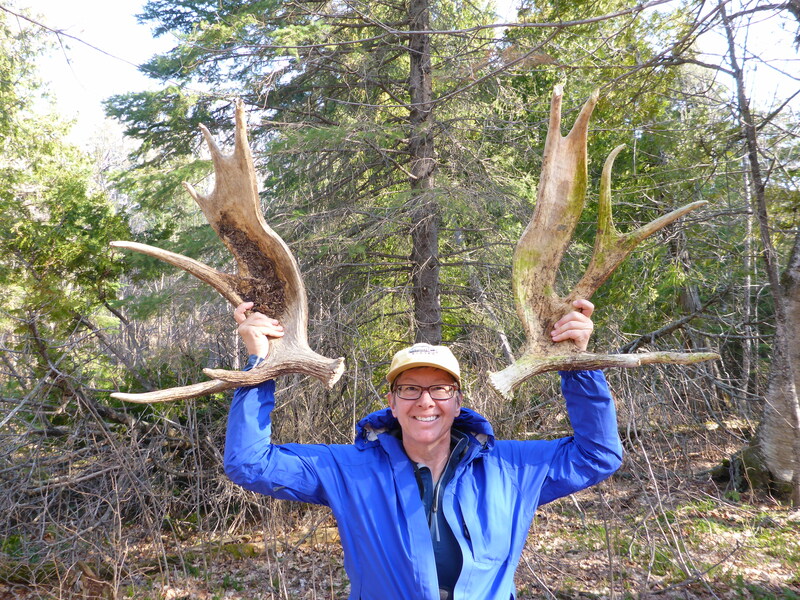 I explored this island for my third book as part of a Moosewatch Team charged with gathering moose bones and taking them back to the scientists. This was the most rugged hiking I’ve ever done…and that’s saying a lot since I’ve hiked over 2,500 miles in the Great Lakes Basin! Spending a week on Isle Royale was a singular experience and one I hope to undertake repeatedly in the future. Sleeping Bear Dunes National Lakeshore: This stretch of over 30 miles of shoreline is my favorite to walk on Lake Michigan. You’ll find the tallest dunes on fresh water in the world here. 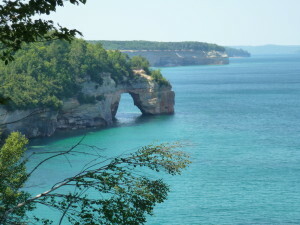 And the National Lakeshore also includes North and South Manitou Islands (which are special places, too). I was a volunteer on the Manitou Islands where I helped monitor the population of the endangered Great Lakes piping plovers nesting there. Wonderful towns nestle within the lakeshore like Leland and Glen Arbor. Traverse City and Northport are close by, and each of these cities has wonderful independent bookstores. 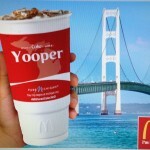 I guess I’m saying that this corner of Michigan’s mitten is a special place for a myriad of reasons. 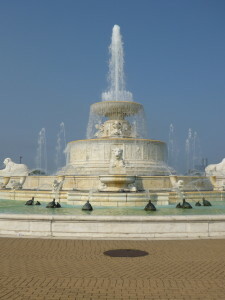 Belle Isle: While there is a rebirth happening in many small pockets of Detroit, the most stunning transformation is taking place on this city park in the Detroit River. From the restored Scott Fountain, to the aquarium now staffed by volunteers, to the renovation of the dome atop the botanical garden, there is much to explore here. Pictured Rocks National Lakeshore: This stretch of Lake Superior was the first designated National Lakeshore in America, and we Michiganders are all so much richer for its preservation. For my second Great Lakes Adventure, I hiked from Munising to Grand Marais, the entire length of this preserve. The hike varied from atop sandstone bluffs several hundred feet tall, to a 12-mile long beach, to massive perched dunes. Amazing vistas are abundant here. Copper Harbor: This small town is at the tip of the Keweenaw Peninsula that extends into Lake Superior. There is a sanctuary for old growth pines here called Estivant Pines Nature Sanctuary where you can walk among giant trees. 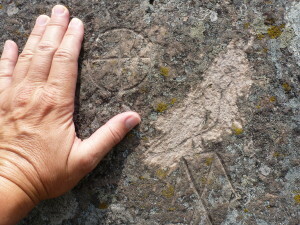 There are petroglyphs carved in the sandstone near Horseshoe Harbor. And I had one of the best meals of my life at the Harbor Haus restaurant. A big thank you to Loreen Niewenhuis for sharing her five favorite places in Michigan with us. Be sure to check out her new book available at independent bookstores across the state. Also if you have time and live in one of the cities on her tour, be sure to stop by to hear her speak and get your new book signed. 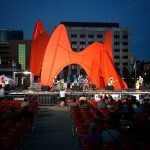 For more in our My 5 Favorite Places in Michigan series, see the other posts here.